We recruit, retain, and compensate the best possible candidates to become FCS security professionals. Many of our numbers come from law enforcement, the military and other careers in and out of the security profession. All FCS employees have access to health care benefits, paid holidays and vacation, and a 401K plan. We seek to make FCS a career, not a job. 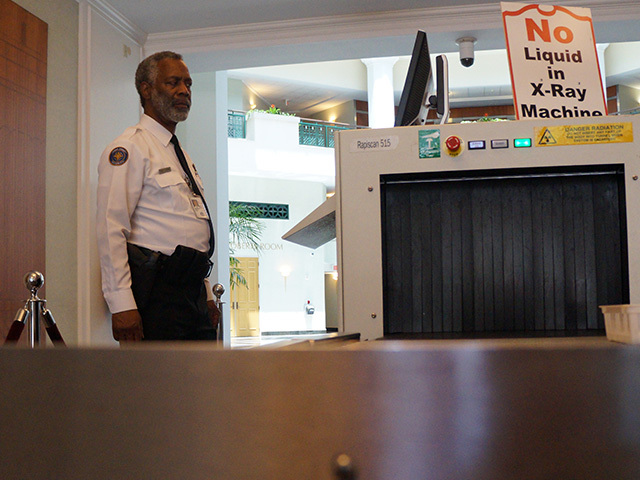 Our refrain is that we are full service, professional security operation – not a staffing agency. We do not dabble in providing concierge, janitorial, or landscaping services. FCS has had the privilege of partnering with customers in the residential, commercial, and government sectors around the country for more than 20 years. The company has grown tremendously by adhering to its core values of excellence, courage, integrity, and professionalism. FCS is a licensed security agency in 14 states, and a licensed investigative agency in Florida (FCS – Investigative Division, LLC). The strength of First Coast Security is derived from its commitment to treating associates and customers with the highest level of respect. Men and women from the armed forces, law enforcement and other high-caliber sectors join the FCS team because they understand that commitment, character and customer service are the foundation for success. Each applicant must undergo thorough screening and training before he or she is permitted to wear the FCS badge. In addition to providing industry-leading customer service, FCS utilizes advanced technology to fulfill its duties and report to customers. From invoicing and reporting to speed control and tour confirmation, FCS’s suite of technological tools and reporting instruments reinforces customer satisfaction and confidence. FCS has been recognized by numerous organizations. The Employer Support of the Guard and Reserve awarded FCS with the Patriot Award for its support of employees serving in the Guard. The Sheriff’s Office recognized FCS for its participation in the Meritorious Awards. FCS is also active in the American Society for Industrial Security, First Coast Crime Stoppers, Building Owners and Manager Association, and First Coast Manufacturers Association. FCS is a member of the City of Jacksonville Disaster Recovery Team and Homeland Security Preparation and Response Team. The decision to partner with a security services company is not one to be taken lightly. Contact FCS today to discuss your specific needs.